If you own a Radeon graphics card, AMD just released its latest update, the new Crimson Edition ReLive driver version 17.1.1. AMD tells us the ReLive driver update is primarily aimed at adding support for Resident Evil 7: Biohazard. 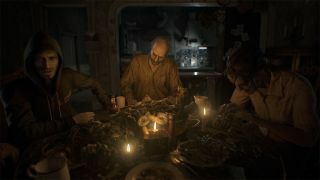 Developed and published by Capcom, Resident Evil 7 kicks off a new storyline and is the first main series installment to be played from a first-person perspective. There will be connections to previous Resident Evil games, but it will feature a new cast of characters, including the protagonist, Ethan Winters. Dishonored 2 may experience an application crash or hang on some Radeon R9 380 configurations. Radeon ReLive may show an improper warning popup message when using Windows 7 basic themes. AMD XConnect Technology configurations may experience a blue screen system hang when audio drivers load. Solidworks will no longer terminate on unplug using AMD XConnect Technology configurations. Paragon may experience flickering in Multi GPU with DirectX 11. The new drivers are live, and you can grab them here.